This is a funny, brilliant, generous book by a writer with a perfect ear and a fierce imagination. It reminds you of why you ever started reading fiction in the first place. It was in hopes of finding a book that seizes your attention as this one does. Bridget, Jean, and Sunny Crossley grow up in modest circumstances on Long Island, and all end up in the New York City of the 1980s. Free spirit Bridget, the oldest, is a well-traveled, sometime massage therapist in the East Village. Outspoken and ambitious Jean is a corporate headhunter in double-breasted power suits who lives in a gleaming Upper East Side tower. Harvard-educated Sunny, the youngest and sweetest sister, drifts from eligible boyfriend to eligible boyfriend until she falls for Leon, a Harlem real estate developer, and starts a family. When Bridget dies unexpectedly during what should have been a routine operation, she leaves behind a ten-month-old girl named Jade. The big question becomes: Who should take the baby? The obvious and expert Sunny, or the never-at-home career woman Jean? The answer is more complicated than either sister could have anticipated. 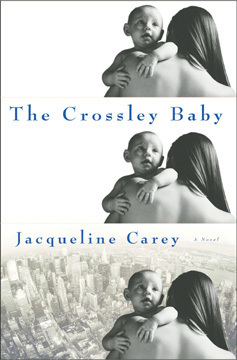 "THE CROSSLEY BABY is the newest addition to a growing and important body of work."